Every sensitive therapist intuits the wealth of meaning that resides in nonverbal behavior. Yet, trained as they are to discern and communicate verbal insights, few therapists have a clear idea of how to tap that stream of meaning. In On Moving and Being Moved, Frances La Barre remedies this situation in an intellectually broadening and clinically exciting manner. Drawing on an extensive research literature on movement and nonverbal behavior, her background as a dancer, and her extensive analytic experience, she seeks to enhance our perception of movement and our understanding of its role in therapeutic communication. La Barre anchors her contribution in a thorough-going review of both analytic and nonanalytic sources as they bear on clinical issues. Conversant with the language of posture-gesture mergers, of kines and context analysis, and of body attitudes and self-directed touching, she spans the research literatures of all relevant disciplines, from anthropology to developmental psychology to ethology, from studies of temperament to cross-cultural comparisons of interactive rhythms. Turning to the psychoanalytic domain, she begins by considering the traditionally peripheral role of the body that derived from Freud's own belief that action was often an obstacle to verbal understanding. With the advent of the contemporary relational perspective, she holds, the stage is set for a deeper understanding of nonverbal behavior both as a source of meaning and as a ubiquitous shaper of therapeutic communication. For the clinician, On Moving and Being Moved is a wonderfully informative introduction to the realm of the nonverbal that succeeds both as a reference work and as a pivotal contribution to the theory of therapy. 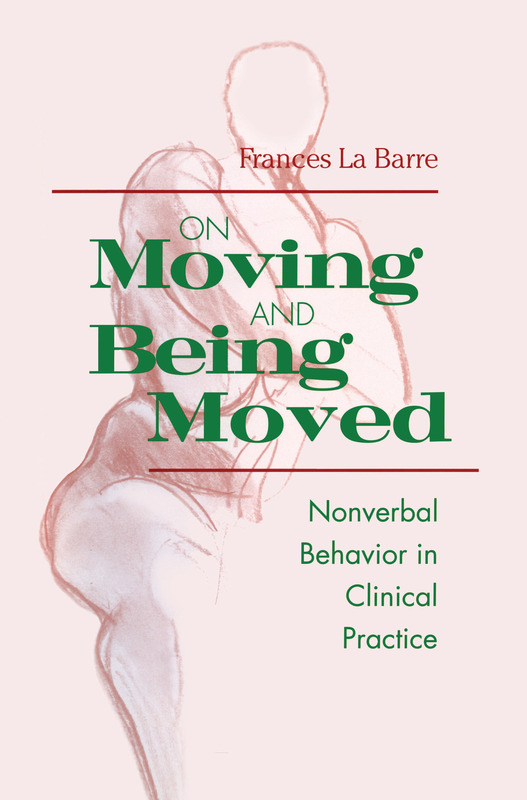 La Barre goes on to illuminate the manner in which analytic and nonanalytic insights can be integrated into a flexible yet disciplined approach that restores nonverbal behavior to its rightful place in the "talking cure."